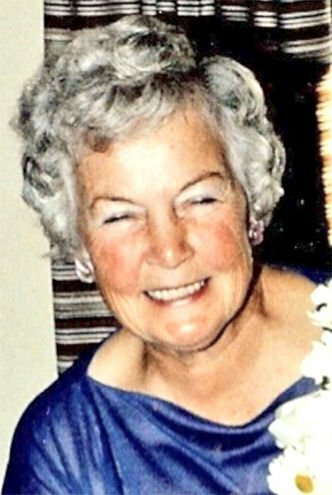 VANCOUVER — Verlina B. Eaton Whitcomb, 99, died March 18, 2019, in Vancouver. Verlina was born in old Willapa on Aug. 26, 1919, the daughter of Johnnie William Louderback and Eva Mae Whitcomb. After Johnnie was killed in a car wreck when she was 4, Verlina stayed with her loving aunt and uncle (Sam and Edna Walden) so her mother could look for work in Seattle to provide for her and her sister, Arlene. She met Wayne Eaton, a sailor from New York who was stationed in San Diego, in September 1938 at a USO club. It was love at first sight followed by a trip to Mexico to get married. She married Wayne on Sept. 21, 1938. After the war they settled in the Seattle area, returning to Willapa in 1966. Returning to her roots, she became very active in the local school and a diehard Valley Booster. Verlina loved hunting, fishing, boating and visiting with friends. Verlina outlived her two husbands; Wayne passing in 1997 and Jack Whitcomb in 2006. She is survived by her children Verlina (Lin) Bradford of Long Beach, John and Sandra Eaton of Seaview, and Jo Anne and Larry Wiseman of Vancouver, seven grandchildren, 15 great-grandchildren, and two great-great-grandchildren. Her Memorial Service will be held on April 6 at 11:30 a.m., at the Willapa Methodist Church in Willapa. In Lieu of flowers, the family suggests donations to the Willapa United Methodist Church Ladies’ Aid, or the Willapa Valley High School Scholarship Fund.